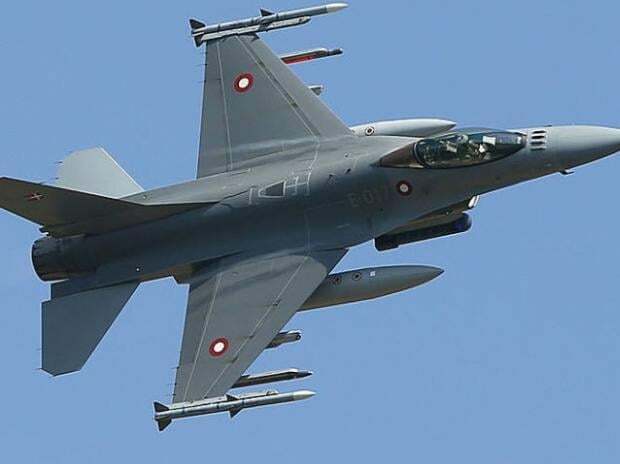 The Indian Air Force on Friday asserted that it shot down an F-16 fighter jet of Pakistan during the February 27 dogfight, refuting a leading US news magazine report contradicting India's claim. Issuing a statement after the American magazine 'Foreign Policy' reported that a US count of the F-16s with Pakistan has found that none of these jets are missing, the IAF said, "during the aerial engagement, one MiG 21 Bison of the IAF shot down an F-16 in Nowshera sector." In its report, the US magazine said two senior US defense officials with direct knowledge of the situation told it that American personnel recently counted Islamabad's F-16s and found none of the planes missing. The report contradicted the claim made by New Delhi that during in an aerial duel on February 27, a day after India carried out air strikes in Pakistan's Balakot to target a terror camp, Indian Air Force pilot Abhinandan Varthaman had engaged with one of the Pakistani F-16s and shot it down before his Mig-21 Bison was downed. "The Indian Forces have confirmed sighting ejections at two different places on that day. The two sightings were at places separated by at least 8-10 km. One was an IAF MiG 21 Bison and other a PAF aircraft. Electronic signatures gathered by us indicate that the PAF aircraft was a F-16," the IAF said in the statement. Pakistan Air Force's attempted "reposte" on February 27 comprising a large force of Pakistan Air Force comprising F-16s, JF 17s and Mirage III/V aircraft were picked up by the IAF radars, the IAF said. "They were intercepted by IAF's Su30-MKI, Mirage 2000 and Mig 21 Bison fighters guided by ground radars and AWACS. All attempts of the PAF to attack any targets were thwarted by the IAF," the IAF said. The Indian Air Force on February 28 displayed pieces of an AMRAAM missile, fired by a Pakistani F-16, as evidence to "conclusively" prove that Pakistan deployed US-manufactured F-16 fighter jets during an aerial raid targeting Indian military installations in Kashmir. Pakistan has denied that it lost any F-16 jet during the aerial combat. They said IAF's AWACS picked up signals of presence of an F-16 aircraft when Wing Commander Abhinandan Varthaman's MiG-21 Bison was engaging with the enemy jet. However, around eight seconds later, the F-16 went missing from the graphic screen of the AWACS, reflecting that the jet went down. They said, Indian ground forces also sighted two parachutes coming down at Sabi Kot and Tandar following the aerial combat on February 27. The two places are separated by a distance of around 8 to 10 kms. According to the report in Foreign Policy, evidence also suggested that Pakistan's F-16s were involved in the aerial battle with the Indian Air Force.